Categories: Bags, Crossbody, Shoulder Bag, WOMEN. Every accent on this Chloe bag is magnificent! 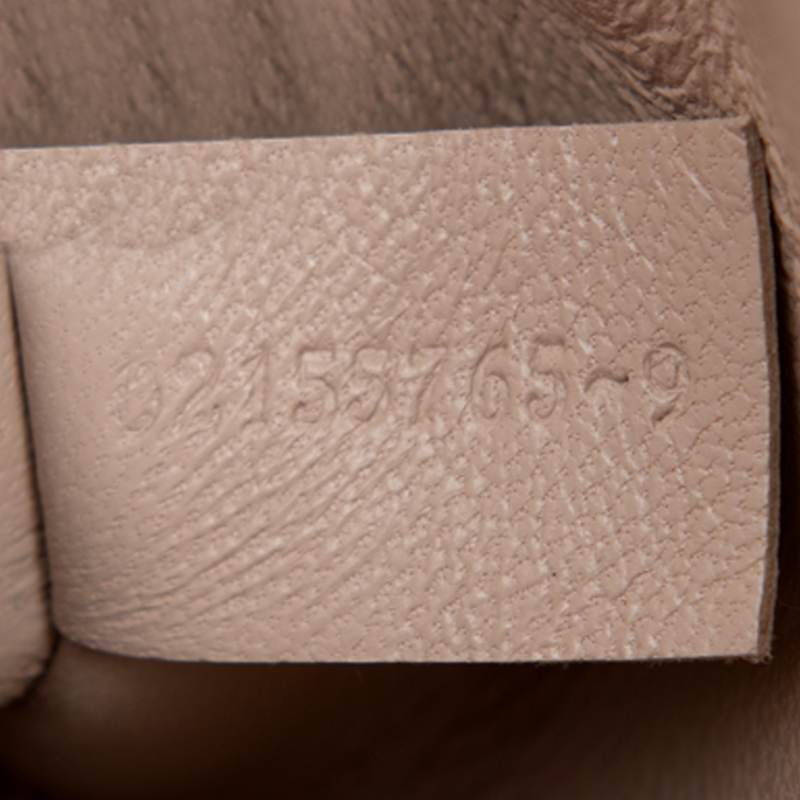 It has been crafted from luxurious lambskin leather in Italy and styled with a flap that has a turn lock. 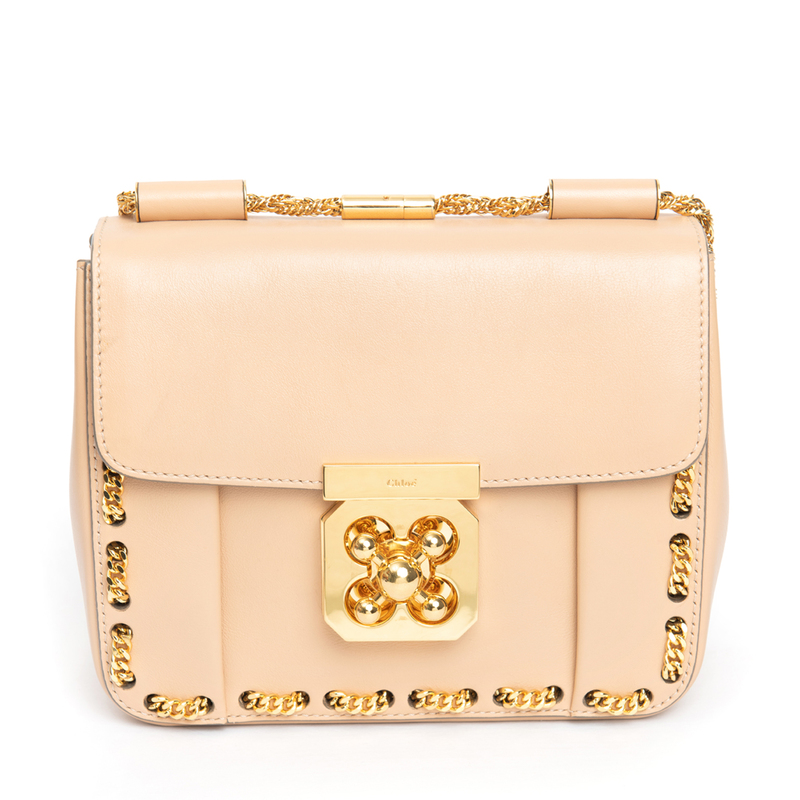 It is adorned with gold-tone hardware and a rope chain shoulder strap. It has a threaded curb chain at the front panel, which is very chic to look at. 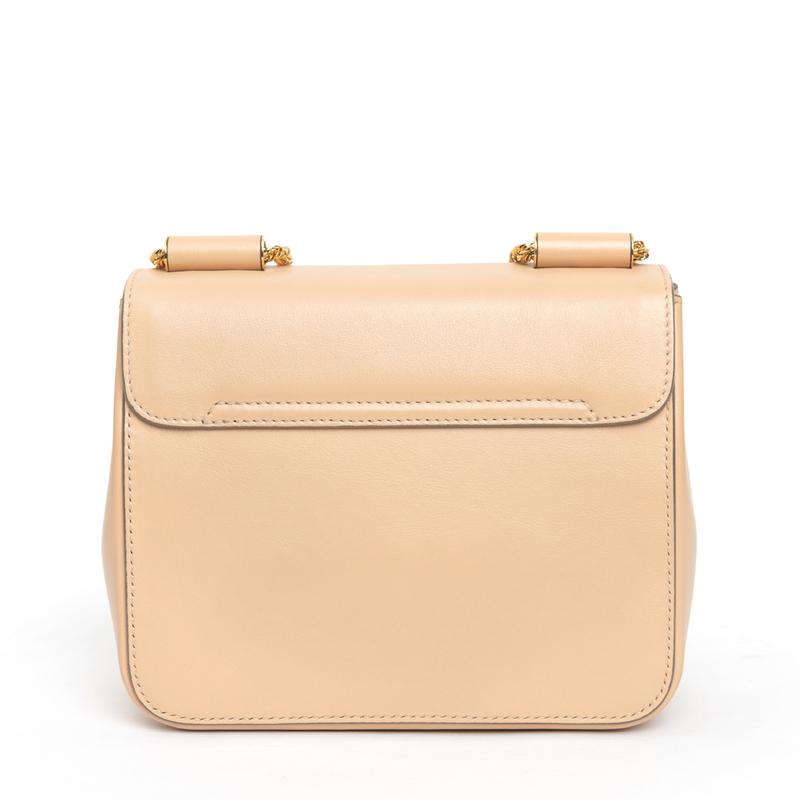 Inside, it has room for your valuables, and even a patch pocket for your convenience. 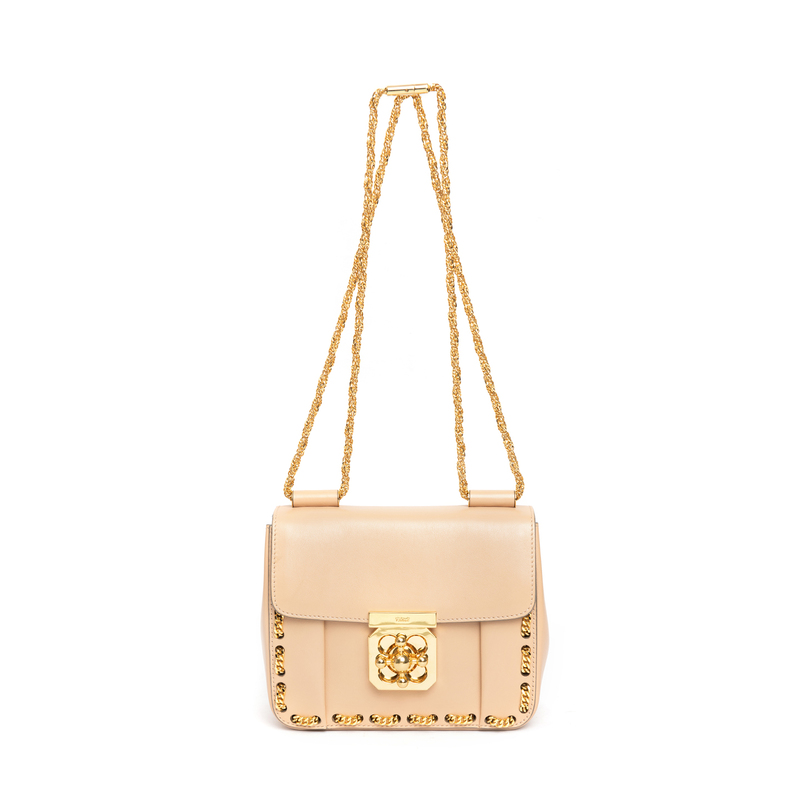 The wait for the perfect shoulder bag definitely ends with this one! Exterior: The are minor scuffs and creasing on the lambskin leather. Interior: The interior leather lining is clean and stain free. Hardware: The gold-tone hardware has minor hairline scratches. LabelCentric is not affiliated with Chloe. 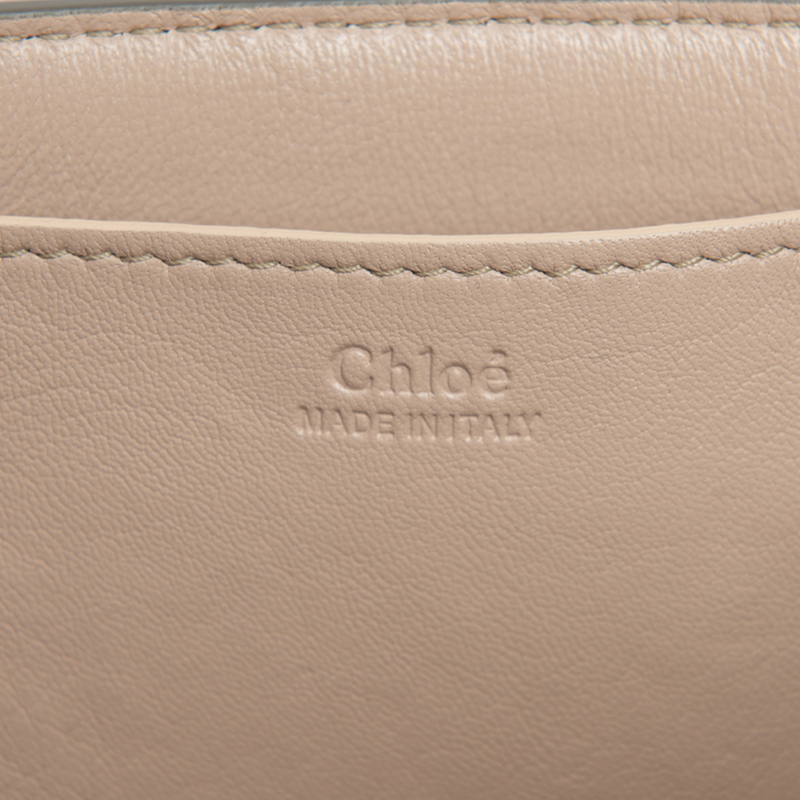 We guarantee this Chloe item to be authentic ( find out how ). 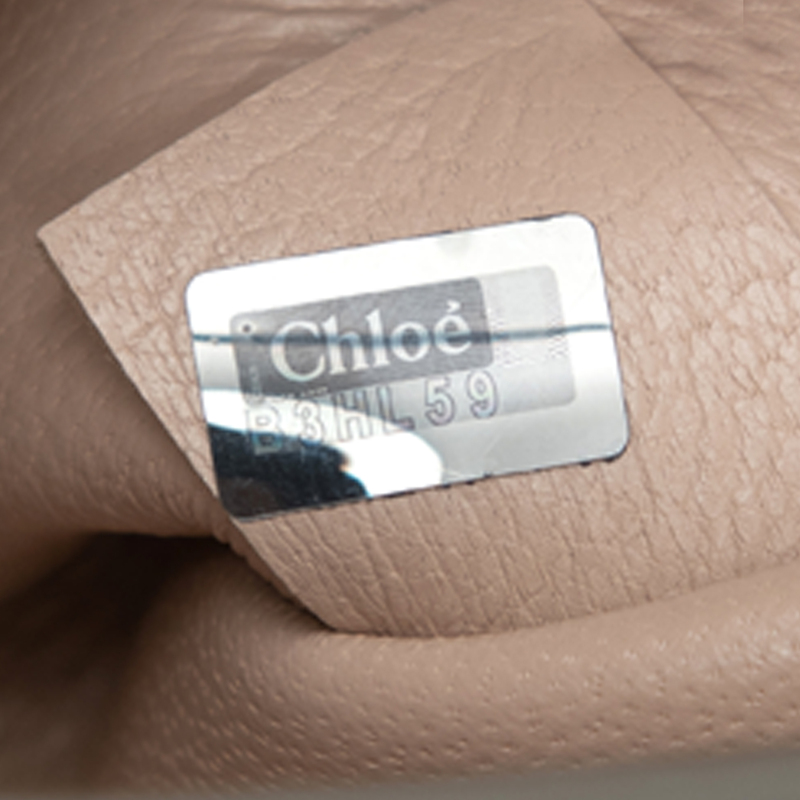 Chloe® is a registered trademark of Chloe.